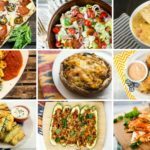 27 Healthy Crockpot Recipes that your family will love for everything from chicken to beef to soup to chickpeas. The crockpot is one of my favorite appliances in the kitchen. I love being able to dump in a bunch of ingredients, spend the day away from the kitchen, and come home to a delicious meal. 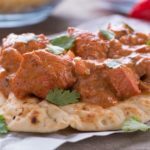 It makes meal prep simple and easy, plus it is a great way to develop flavor without having to add lots of fat or calories. Saying I am a huge fan is an understatement. 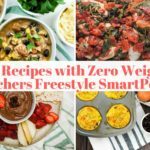 Today I am excited to share some of my favorite healthy crockpot recipes all with nutritional information and the new Weight Watchers Freestyle Smartpoints.